Seniors Joseph Ferigne and Richard Cosgrove had their seasons come to an end at this week's Region 7 Tournament. It also beings an end to their high school careers. Ferigne finishes his career with 75 wins, and two District medals, including a District 23 Championship in 2016. Cosgrove ends his run at Brick as a 3-time District Medal Winner. The Dragons took a decent hit to graduation, especially in the upper half of the lineup. As a result, there will be several new faces joining the starting lineup this year. Brick returns the bulk of its experience in the 120-152 range, with seven starters returning, six of them seniors. Joe Ferigne leads the stretch at 120. A District Champion in 2016, he has the ability to have a big senior season. At 126/132 are three more seniors in Jon Mora, a District placer in 2016, Frank Savannah, and Harutyum Hakobyan. At 138, returning starter Jacob Konstantoulas is back in the mix, and senior Trent Adams is also back in the lineup after missing last season. Four more seniors fill the 145/152 slots in Rich Cosgrove, the team's lone returning District medal winner from last season, Anthony Firneno, Nick Malta, and Sean DeCoursey. 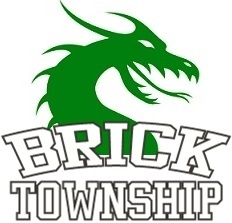 With the glut of experience returning in this range, expect the Dragons to have some guys wrestling up to fill out the lineup with some of the veterans. The rest of the lineup will rely heavily on new faces. Frosh John Trainer and Jacob Brisbin will compete time down low, along with sophomore Stephen Pasch. Up top, the Dragons do have junior Christian Malta returning. He'll be the anchor up top as a host of newcomers look to break into the upper weight classes that took the hit to graduation. There's a lot of new faces here, but the toughest part of the schedule doesn't start until a few weeks in, so the Dragons will have some time to break in the newcomers before things start grinding. While Southern is the favorite and returns a ton of talent, a lot of the other teams in A-South will also be doing some retooling with their lineups, so Brick expects to remain competitive in the division despite the roster turnover. With a healthy dose of seniors in the middle of the lineup, they can provide some very valuable leadership to the new guys breaking into varsity, as the Dragons aim to continue their winning ways.